An Infringement on privacy or a new road for businesses to track progress – The new Facebook View Tags does pose some serious questions. 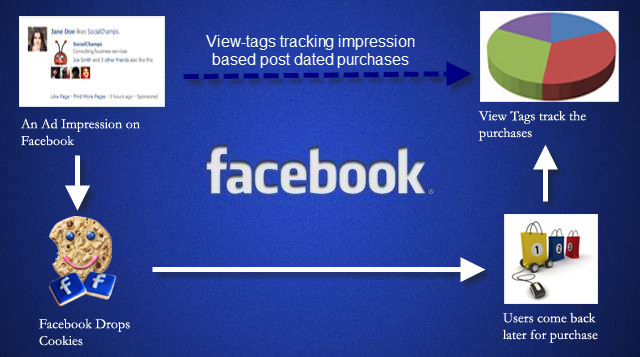 The new Facebook View Tags will enable tracking of post dated purchases made by users. The tracking mechanism will enable businesses to better understand the impact of facebook advertisements. Actually it let Facebook advertisers drop in cookies to people visiting their ads and track purchases later. How this helps? 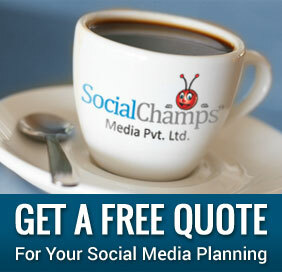 It helps businesses know exactly how many people actually end up using their services after clicking on their ads. FB began the process of dropping cookies onto other’s computers last year itself. Initially, Facebook started with a few list of trusted partners but now adtech partners can ask to employ View Tags. Facebook though makes sure that these partners go through a close scrutiny process and privacy audit so that these partners do not actually store any personal information. Do View Tags really work? For the first few partners who used the system, it did. In fact it was seen that nearly 87% of conversions came from impressions and not clicks. So who takes the credit? Google used to take credits if someone visited a site from its search pages. But what if someone remembered an Ad on Facebook and later used Google to visit it? Who would take the credit for it then? People after all may not click directly but visit at a later point of time too! Facebook activities and ads are proven for brand recall. Ah, what about those who would not like their cookies used for such tracking purposes? Truth is, cookies can be present for months at least if not years unless deleted. So if you do not delete your cookies then chances are you are being ‘tracked’. Unfortunately, there is no way out and you have to manually delete your cookies each week if you do not want to be tracked. Well, everyone knows that we can see the Ad and brand on Facebook and visit it later without clicking it at that point of time. But what if you find the ad on Facebook and then come across the brand at some other point of time and then visited the site? Who would take credit for that? Would it be Facebook or the next place where you came across the ad? On the other side though, this new move is surely going to be liked by businesses all around the world who are thinking of advertising on Facebook. They are sure to do be able to research and analyze in a better way as well as put together the ROI Analysis process. What’s to be seen is whether Facebook actually manages to keep the process clean and personal details are not stored and used for other purposes. For now, it is a great new technique that can make things a lot easier for online businesses.